It’s another dark and stormy night in the great house at Collinwood, and Victoria Winters, girl governess, is creeping around the house in her nightgown, eavesdropping on people. As she approaches the closed drawing room doors, she hears Roger speaking to someone. This is what you do when you live at Collinwood — you walk the perimeter, and check on the inmates. It’s a survival skill. As usual, there’s something unearthly going on in the drawing room — Roger is being hypnotized by an oil painting, and when he flings open the doors to confront the interloper, he believes that he’s Joshua Collins, an ancestor from the 18th century. Lord knows what everyone else is getting up to. This could be contagious, you never know. Vicki tries to get Roger to snap out of his delusion, but he just barks at her, Joshua-style. He starts with “Have you taken leave of your senses?” and then things degenerate from there. He stares at her for a long moment, and then asks, “Is it for me, Vicki?” So this may be the first recorded example of exorcism by telephone. Now, you’d think that that little episode would earn Roger the title of craziest person in the house, at least for tonight, but Vicki’s giving him a run for his money. 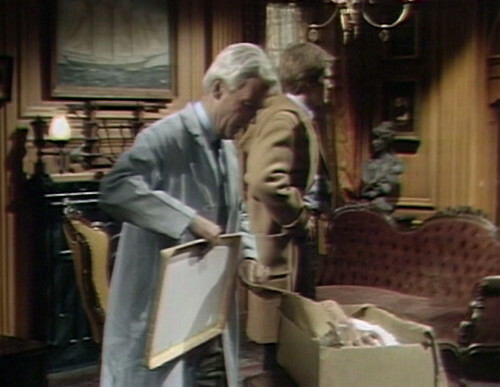 Vicki: I’m going to take that painting back to the antique dealer, and let him sell it to Professor Stokes. Roger: You’re going to what? Vicki: Roger, it’s an evil thing! And the thunder is just crashing away like mad. It’s lovely. Now, technically, Vicki is exactly right — the portrait is an evil thing, good call — but this isn’t what she needs to keep an eye on tonight. This whole week has been the story of the male characters taking control of the show, and today is the grand finale. It’s just Vicki and four guys today, each one nuttier than the last. 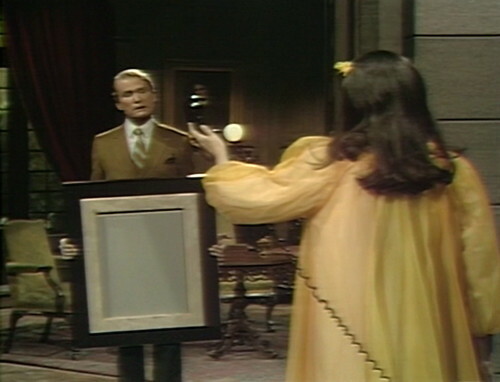 Roger suggests that Vicki go upstairs to sleep — but as soon as her back is turned, he grabs the portrait and sprints out into the night. It’s difficult to say exactly why. 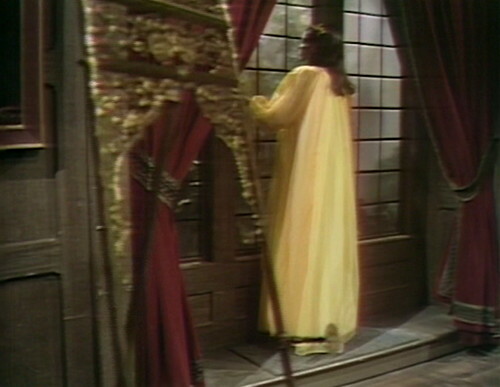 Vicki runs to the door and yells, “Roger, come back!” which is something that people do on soap operas all the time. Nobody ever comes back. Then Vicki walks slowly back into the drawing room and sits down on the couch. There’s a commercial break, and when we come back, it’s the next morning, and Vicki’s been sleeping on the couch all night. She wakes up, and then takes another slow stroll around the room. Nobody else seems to be around; I don’t know what’s become of them. It’s like I Am Legend: The Home Game around here. Thankfully, then there’s a knock at the door, and Vicki finds Jeff, her new amnesiac time-traveling boyfriend. I’m not usually that thrilled to see him, but he tells her, “Vicki, I have to talk to you right away,” which comes as a refreshing surprise. It’s been a solid three minutes of network television time since anybody said anything except “come back”. Jeff’s a murderer, by the way. 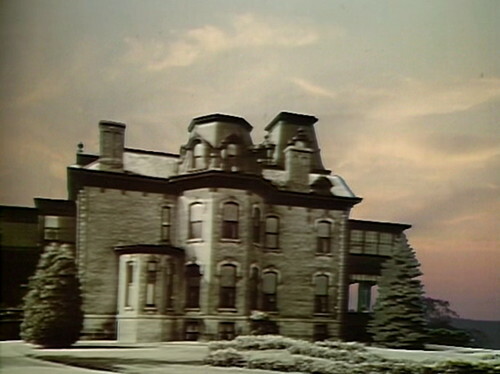 I didn’t mention that yesterday because I had other things on my mind, but at the end of the episode Jeff’s boss, Dr. Lang, told him that if he doesn’t stay away from Vicki, he’ll tell her that Jeff is a murderer, and his previous residence was an institution for the criminally insane. Apparently, that threat didn’t make a lot of impact, because here he is, but I’m not even sure that Vicki would mind if she found out. I mean, she killed somebody too. That’s just another thing they have in common. She leads him into the drawing room, and they really must not have much of a story today, because they’re still stalling like crazy. Jeff: I have a question to ask you, Vicki. Jeff: A very personal question. Jeff: It’s about Barnabas Collins. And then Jeff walks all the way around the couch before he responds. This is why you should always pay soap opera writers by the word. They stand around and have a long, tepid conversation about whether she’s in love with Barnabas (she isn’t), whether she plans to marry him (she doesn’t), whether she knows how to tell him (she doesn’t), and whether she wants to hurt him (she doesn’t). That leaves us, at halftime, with a score of 0-4 for the conversation. Meanwhile, Roger’s out with the painting somewhere, probably skydiving or breaking into a bank vault. What are we hanging around the house for? Then Jeff says some cryptic things about the hospital, and how she thinks that he’s Peter Bradford. For some reason, he’s not telling her that he actually has amnesia, which would be relevant to approximately 110% of their conversations. So I honestly don’t know what they’re doing with this storyline; it feels like a huge mistake. This should be a sweet story about Vicki and Peter finding their way back to each other, transcending time and death and common sense. He should just be saying super cute things, and making everyone in the audience fall in love with him. If there has to be an obstacle in their path — and obviously there does, because it’s a soap opera — then it should be a romantic one, like he’s already married to Angelique, or he made a pact with a magical spirit who’s giving him six days to get Vicki to fall in love with him, or he’ll be snatched back to the 18th century. They’re already behind the 8-ball with Roger Davis in the role. He’s not a bad-looking guy, if he smiles and doesn’t talk and you’re kind of a long way away and you don’t have super high standards. David Selby, who shows up about eight months from now, would have made a meal of a storyline like this; we would have been in love with him in seconds. I know that not everybody can be David Selby, but if you’ve got a charisma deficit like this, then at least you should avoid phrases like “institution for the criminally insane.” Do you know what I mean? Anyway, continuing her walking tour of Collinsport’s lunatic population, Vicki visits Barnabas at the hospital, where he’s about to be released, more of less cured of being a vampire. I can’t say that this conversation is a rocket sled to adventure, either. Barnabas: You seem troubled, Vicki. What is it? Vicki: I’m not sure I know how to begin. Barnabas: Does it have something to do with me? Vicki: Yes. You… and the past. This is how it is today. Sometimes there isn’t anything you can do. Then we cut to an image which blazes a new trail in bonkers establishing shots. They’ve been taking it easy for a while with the green-screen shots, only using Chromakey effects when they want somebody to disappear. But now they’re using it to construct an exterior shot again. The clouds and the sunset are a film clip, and then Dr. Lang’s house is overlaid on top of that shot. But they can’t actually use Chromakey to mix two exterior shots together, so I think what they’ve done is take a photograph of a house, cut around it with scissors, put it in front of a green screen and then key in the sunset. It’s unexpected, and fantastic, and it cheers me up immensely after watching the rest of this dull episode. This is exactly the kind of thing that Dark Shadows is for; it’s like a postcard from the uncanny valley. Unfortunately, being at Lang’s house means that we have to see Lang, and hey, guess what: he’s annoyed about something. 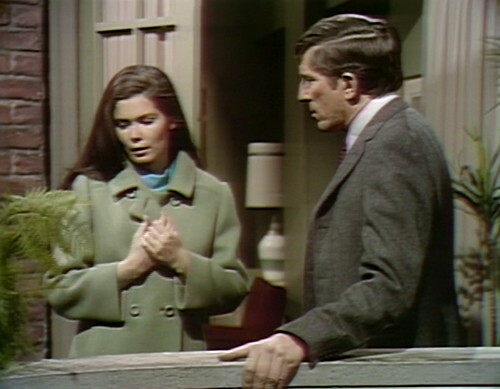 Vicki told Barnabas that she can’t marry him, so now Barnabas is depressed and doesn’t want to go through with the experiments anymore. But Lang has ridiculous dialogue for every occasion. Lang: Is there, by any chance, anyone else? Lang: Would his name, by any chance, be Jeff Clark? It turns out yes, by any chance, it would, and fortunately the episode, by any chance, is almost over. And not a moment too soon, because now we get the cliffhanger that they’ve been building up to all week. This has been a pretty grim week for the show, what with all the guys being completely out of their minds the whole time, but Dark Shadows always goes the extra mile for a Friday cliffhanger. That’s basically their mission statement. 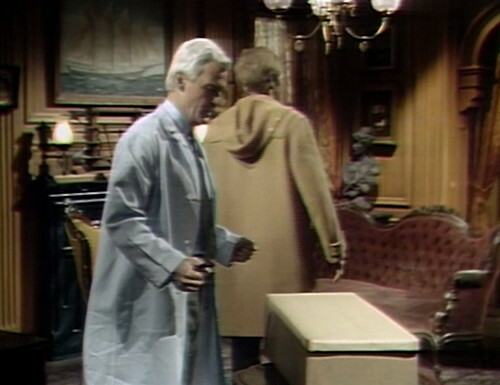 So Dr. Lang hustles Barnabas out of the house as Jeff places a box on the table. Lang rushes over to unwrap the box like a kid at Christmas, tearing through the wrapping paper. And yeah, it sure is. Wave goodbye to the folks, Adam. See you all on Monday. Monday: A Farewell to Arms. 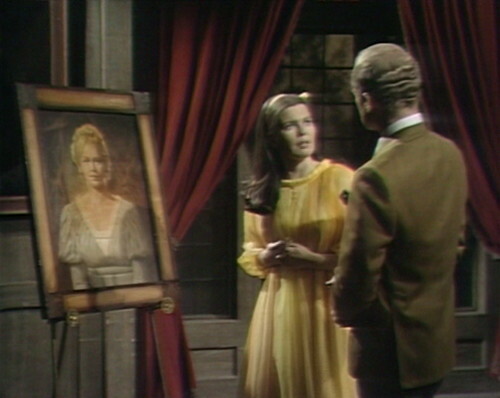 At the beginning of act 1, as Vicki stares at Angelique’s portrait, there’s a videotape eidt. They manage to sync up the music pretty well; it’s not as obvious as the other tape edits that we’ve seen. 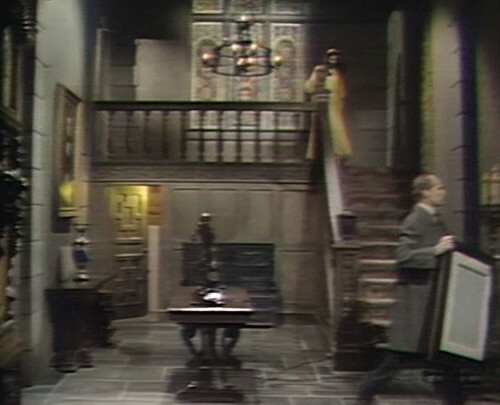 Towards the end of Vicki’s scene with Barnabas, there’s some offstage clatter from the studio. 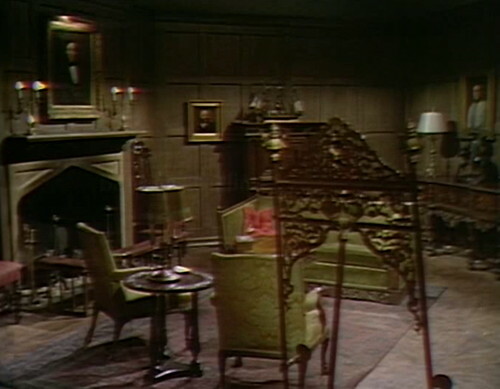 When Lang shuts the doors after Barnabas leaves, part of a camera can be seen briefly, on the right side of the screen. 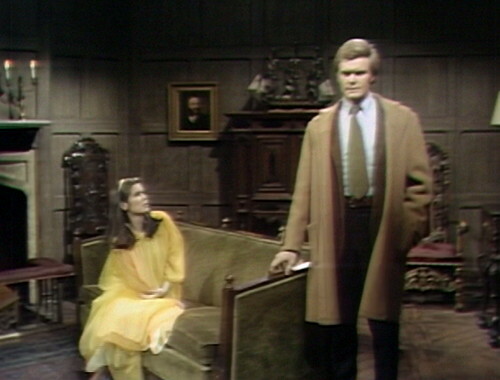 Years ago when I was rewatching Dark Shadows with my daughter, we went on vacation. So I threw an new VHS tape in the machine and had slightly over a week’s worth of DS to go through when we got back. So I told her we would not only fast forward the commercials, but also whenever someone was walking and not talking. We whizzed through some episodes in under 15 minutes. Ah David Selby! He could stand there, be totally silent and smoulder and be charismatic. When I started watching DS in 1988, this was the last episode that my local affiliate aired back in the summer of 1989. Thanks always to Sci-Fi for airing the full series, which was always a big commitment (2 years even with two episodes a day). 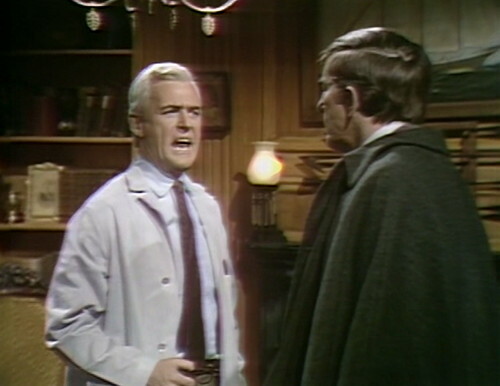 I found Dark Shadows on scifi also, and though I remembered some from the original broadcasts, it was almost like seeing it for the first time. I have no memory of the 1941, , parallel time. With bramwell and company. Did sci-fi air that story? Sci-Fi aired DS in its entirety in 1992 (bold move, as the first few months of the series have little connection to the channel’s theme). This happened twice, I believe, with the series going on “break” in September of 1997. I recall catching the tail-end of 1897 in late 1996/early 1997 and then the rest of the series. Sci-Fi brought back the series in early 1999 but this time skipped to the Barnabas storyline. This is when I taped most of the show (yes, there were a lot of videotapes stacked in my house). When the series was released on DVD in 2002, I enjoyed replacing my homemade tapes for the more compact DVDs. And like this Web site, it was fun to experience the show again in real time. I also vhs taped the shows, its good to know I.wasn’t alone! Thanks for the sci fi net info..
Actually the second time that sci-fi aired Dark Shadows, they also ran it from the beginning. I know that because a friend of mine taped it for me. And I have all the episodes with only a few field in from her home video Collection and a few filled in from the time a friend of hers recorded it from the Syfy Channel’s first run. It should be noted that we all met each other because of Quantum Leap. 🙂 I was hoping that you might know when they started the second run but since you think they began with Barnabas, you probably don’t know. My memory of the subject is a little sketchy. I have been watching episodes on YouTube but I think MPI finally noticed that they were there and started blocking them in my country – the US – so I’ve had to revert to VHS. I actually had to buy a VCR on eBay, because they had the episode where Maggie is in the graveyard with Barnabas blocked in my country before they had everything else blocked. And there was no way I was paying to see it when I had 1225 episodes on VHS tape. Also my DVR has been dead since Halloween. By 2001 my friend was typing it using her Panasonic so there should be time stamps on those episodes. I know this because I went back and looked to see what they had on September 11th 2001 and there is actually an episode or two actually which they played on that date. I didn’t think anybody was doing anything but news. But at 10 a.m. or 11 a.m. or whenever they ran it, I didn’t need a break yet. By the time I finally did I turned on Syfy and found Quantum Leap Marathon. 🙂 I also read an article about has somebody went to the theater for the first time after 9:11 and they said lame is Rob Lowe – I cannot get Google Voice recognition to type Les Miserables, they seem pretty set on the idea that Rob Lowe is lame 🙂 Anyway the article writer said that it was the perfect show to see at the time. So then I had to see it. Although it took me several years and a library card. Oh and enough video tape to store 1225 episodes of Dark Shadows is nothing compared to the amount of video tape in my house. But the upside of Dark Shadows is that it is all labeled and it is all the same series whereas my other tapes are just Tuesday Wednesday and they aren’t even labeled like that. I did not separate my shows out onto different tapes. So trying to find all the episodes of ER would be like an archaeological dig. And that’s really too bad because I’d like to watch them right now. Laura I stopped remembering after 1795. From when the returned until the end was all new to me. Its been very interesting. Why do I feel like I stepped into an episode of the ‘Twilight Zone’ with a dash of the ‘Munsters’ thrown in for good measure – this is the show’s first real ‘jump the shark’ moment. Also isn’t Vicki’s orange cream-sicle nightwear a little over the top? Pfft. I’m an OV – Original Viewer, trademark pending. We ran home from school, ate our snacks and watched the shows before doing homework. A cliffhanger like this juiced us through all the weekend and Monday morning. We didn’t have VHS or DVDs, and once the episodes were gone, they were gone. We thought the show had always been and would always be. It was one of the best parts of childhood. Now get off my lawn, you kids! I’m only a partial original viewer. I saw the show in 1969 when everybody around me was watching it until I went home and tried watching it there and got caught by my father who said that I couldn’t watch it anymore. After that I started having nightmares about the hand. So basically I just remember Barnabas and Quentin and the actors names who played them and the hand. Totally that was it. I was 10. Oh and I also remember Quentin’s Theme because we were also listening to WRKO the time. I think it’s a shrewd move on the part of the writers to begin integrating elements of the 1795 storyline into the present day, with the return of Peter Bradford, Angelique, and Trask. 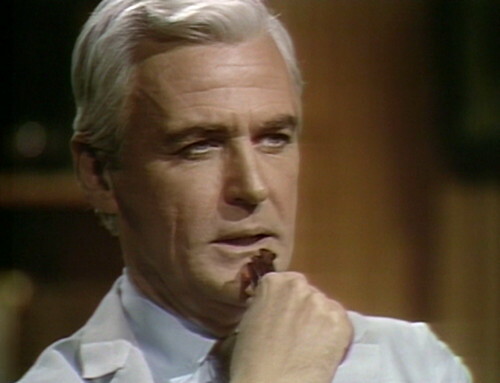 Since the show’s detour through the past accomplished its objective of lending some depth and humanity to the Barnabas character–for the first time, you begin to root for rather than against his actions; for instance, you hope that when he shoots Angelique that he has indeed killed her–they could have just left those themes behind. But instead, with elements from the past reaching into the present, it lends the show a better overall continuity, rather than being disjointed as separate eras and stories just play themselves out. With two separate mixed romances in the works (mortal/supernatural), it’s a good point to get a perspective on just how unlucky in love each member of Collinwood truly is. Liz is the only one in the house who did not marry a supernatural type of character, yet the disappearance of the husband she was led to believe that she killed made her a prisoner in her own home for eighteen years. The secret she kept all those years became a ghost in its own right. But look at everyone else in the house. Roger marries a phoenix and then a witch. Carolyn will eventually marry a soulless shapeshifter who then dies. And now, several months after her fiance was killed in a plane crash, and after having eloped with a vampire, Vicky is about to enter into a relationship with a visiting astral projection from the eighteenth century. When it comes to romance, everyone at Collinwood is seriously hopeless. Yeah, they have Eve go back to get the Family Collins History book and you see the remaining folks in 1796. Yea,, Roger/.Joshua is kind of funny. He acts like Roger or Joshua except neither would be interested in Angelique’s oil painting. Roger’s personality is not like that and Joshua didn’t like Angelique especially after he found out she was the witch. I’m OK with Angelique somehow zapping Roger into channeling Joshua. Don’t know why she would do that, but it does 2 things: ties the 1795 storyline into the present and sets us up for Angelique/Cassandra to marry Roger. Oh BTW, I do agree with you Danny that Louis Edmonds is a great actor, pulling off anything — channeling Joshua, talking with an oil painting, etc. etc. — and making it believable. 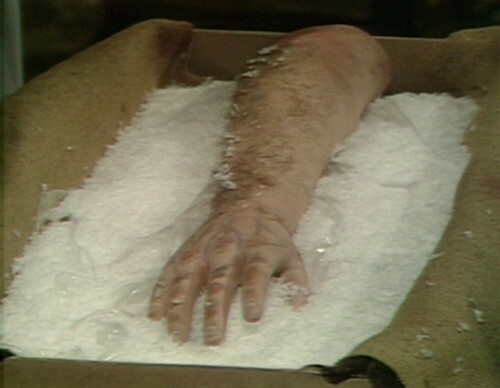 In fact, Kate Jackson said as much about her DS experiences — the great training of soap work is to have fantastic and sometimes ridiculous storylines/situations thrown at you and to make it come across as believable, i.e. talking about someone coming back from the dead as if they just came back from across the street, etc. Oh yeah, I love the Roger/Joshua stuff. It’s unsettling, and Louis is so good – you can feel the change in him before he says a word, the way he moves, how he carries himself. I swear his face changes shape. It’s one thing to pull off two entirely different characters at different points in a story, especially when the whole world has also changed around them – but it takes some serious skill to switch between them so convincingly before the audience’s eyes. Vicki and Jeff both have such massive outfits on. We’re still a ways off Alexandra’s pregnancy, aren’t we? So it can’t be that. It just looks like they’re both trying to hide some babyweight. But Barnabas is so happy. He can see himself in the mirror. Too bad Vicki is about to bust his balls. Julia tried to tell him. Of course, she is driving Jeff crazy. He just doesn’t know it yet.Its all so cute. 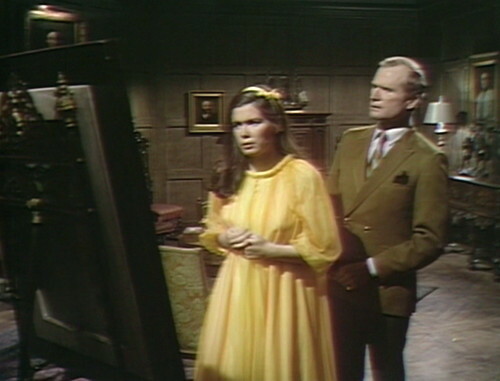 Joanne, I thought the night gown was yellow and, yes, over the top, although Vicki needs something from the wardrobe department to make her catch the eye when she is surrounded by so many more interesting actors. She is beautiful and, Pamela, I always wanted to like her. She is so darned nice, but even Alexandra recognized that her character was always relegated to asking everybody else what was going on. The biggest joke of the 1795 story was that they kept saying in the intro narrations that Vicki was learning about the true history of the Collins family, but she learned a lot less than the viewer learned. 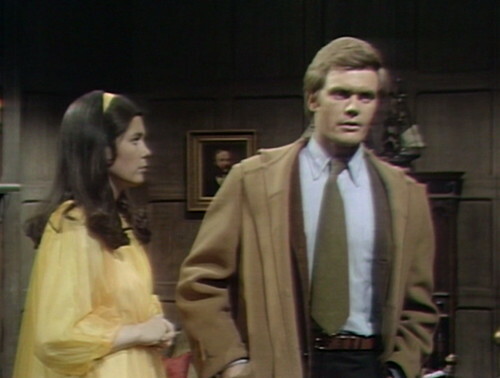 Barnabas’s worrying about whether Vicki found out that he was a vampire was so needless.